Nina Tisara – Still a Force to Reckon With! There have been many individuals that have had a profound effect on the City of Alexandria over the years and this month’s profile is one of kindest persons I have ever known to unite a growing city – Nina Tisara. In the early 1980s, Old Town Alexandria was comprised mostly of the first 6 blocks of King Street from the waterfront to Washington Street. In the early years the OTBA (Old Town Business Association) was founded to help organize and coordinate the businesses east of Washington Street. That all began to change in 1983 when the King Street Metro opened and Alexandria had rail service. 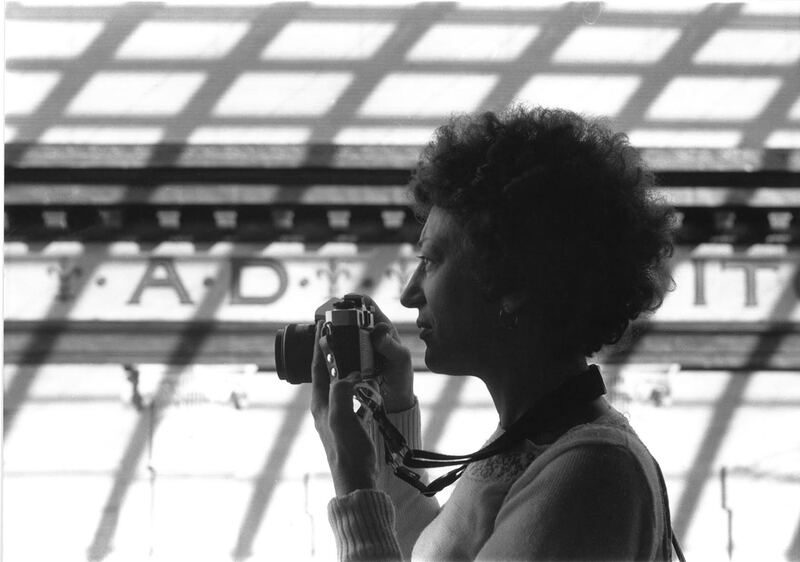 Nina Tisara opened her photography business on King Street in 1990 – two years after we started publishing the Old Town Crier. We have used several of her images over the years. I guess you could say we have been running a parallel course along the way these last thirty plus years. Before becoming a full time photographer, Tisara worked for the Air Force where she was an archivist for their photo library. One of her bosses thought that if you are selecting photos, you should know something about photography. Tisara thought that was a good idea and took a class offered by an airman. She later enrolled in NOVA and while developing her film in the lab, she met a fellow photographer who worked in sales at the Gazette newspaper in Old Town Alexandria who told her they needed a photographer. “I was shooting plants at the Botanical Gardens, so I took some of the images and met the editor of the paper, Jim Goldsmith,” she tells me. “Can you shoot something that moves faster than a plant?’ he asked. “He reached into his desk drawer and pulled out two rolls of TRI X film and said, “let me see what you can do with this and I will try and publish some of your photos.”’ Tisara would work all day long Saturday shooting, spend Sunday in her dark room developing film and making prints, and then drop them off at the newspaper Monday morning. “He would try and publish my shots, but remember, this was soft news, and I got paid $5.00 a shot. He might publish one and the most he ever did was 10,” she says. Back in those days everything was being shot in black and white. Not many local publications were using color in 1990. “I love black and white and I miss the darkroom,” she laments. With the development of the aforementioned King Street Metro in west Alexandria, businesses began to open up on the west end. Howard Rooks of Mount Vernon Real Estate started an association of businesses in the west end and Tisara joined the group. In the second year she was president and the group changed their name to KSMET (King Street Metro Enterprise Team) and modeled itself after the Alexandria Chamber of Commerce of which she was a member. Most of those initial businesses are now gone, but Tisara ushered in a new era of cooperating businesses, particularly business and the arts. “Since I had been taking photographs for the local paper for years I had developed a reputation of having this archive of images. People began coming to me for images of persons who had died to accompany stories they were writing,” she says. Tisara had yet another idea and approached Jerry Vernon of the Gazette. She figured she could solve future problems by starting to shoot people who were still alive, and the *Living Legends program was born in 2007. Noteworthy people are nominated as Living Legends and the winners are selected each year. Tisara is responsible for the photographs of the nominees that accompany the nominator’s short biography. All of the nominated Living Legends photos and bios are donated to the Office of Historic Alexandria. “Out of all of the award programs in the city, this is the only one that is archived. Can you imagine what this will amount to over time?” she says. Tisara was the driving force behind Tisara Photography which for many years was known as the “go-to” wedding and event photographer. Since the introduction of the digital age of cameras, their business has fallen off a little and the appreciation of the professional has waned. Owning a digital camera does not make one a photographer…only a person who takes pictures. Today Tisara’s son, Steven Halperson owns and manages Tisara Photography. Although Nina has stepped aside in some respects, it doesn’t mean this 80-year-old dynamo has slowed down. Today she is in the process of scanning her old prints, which is very time consuming, using the large format scanner at Fairfax Sherwood Regional Library and is then donating them to the Alexandria Library’s special collections unit where they are happy to have them. “They tell me that they do not have many photos representative of the 80’s,” she says. As our breakfast meeting at Table Talk continues, the conversation turns to Tisara’s new path of reinvention. 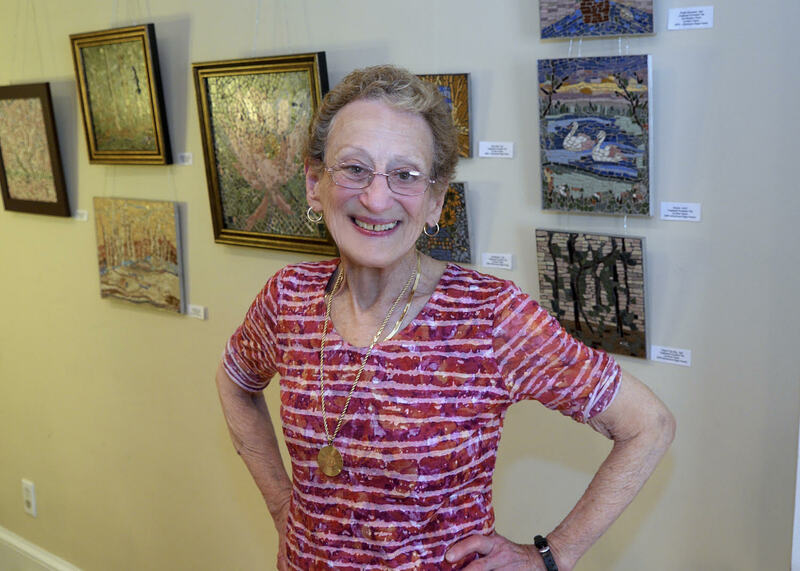 “Although I have stepped away from the photography, I have reinvented myself through my mosaics,” she tells me. A mosaic is a piece of art or image made from the assembling of small pieces of colored glass, stone or in Tisara’s case, tile. She cuts each piece until it acquires the shape she needs for her art piece. Tisara began working in mosaics in 2004 and has had numerous shows. Her next show is April 7th through the month of May at the Unitarian Universalist Congregation Of Fairfax at 2709 Hunter Mill Road in Oakton, VA.
Nina Tisara’s legacy continues through her work, her photography and her many friends. As the city grew, her beloved KSMET merged with OTBA and became the Old Town Business and Professional Association. She was the one who added the King Street Metro area to the Old Town Alexandria street map and brought this city together. *Living Legends has its own 501C3 classification and is solely supported by donations. The city doesn’t provide any funding so it is up to businesses and individuals to keep the program afloat. To learn more about the project go to www.AlexandriaLegends.org.